The Biblioteca e Bottega Fioretta Mazzei , in the Gatehouse of the English Cemetery , Piazzale Donatello 38, Florence, has the following books as a result of holding the International Congress on the City and the Book and a Book Fair in connection with it May and June 2001, September 2002. We held our third Book Fair 3-4 June, in the cortile of the Palazzo Strozzi, our earlier ones in the English Cemetery. LA BIBBIA AMIATINA/THE CODEX AMIATINUS. ISBN 88-87027-94-3. SISMEL [Societa` Internazionale per lo Studio del Medioevo Latino]: Edizioni del Galluzzo, Firenze 2000. SISMEL, Galluzzo, Florence, 2001. http://www.sismel.it Dott.ssa Franca Arduini, Biblioteca Laurenziana, 2000. While giving the entire text, the images are unclear, the apparatus slow. THE BOOK OF KELLS , Trinity College Library, Dublin. ISBN 0-904720-32-2. Board of Trinity College Dublin, 2000. http://www.bookofkells.ie Dr Bernard Meehan, Keeper of the Manuscripts, Trinity College Library, Dublin, 2001. I was only able to open this splendid CD with the Laurentian Library's newest and most powerful computer, then on Giannozzo Pucci's, but certainly not on my own. A feast for the eye, allowing for close-up details of the illuminations. THE LINDISFARNE GOSPELS, 'Turning the Pages', The British Library, London. ISBN 0-7123-4691-0. The British Library Board, 2000. Dr. Scot McKendrick, The British Library, London, 2001. A lovely project, though more for the lay person than the scholar. Begins extremely well, with preface by Dr Janet Backhouse, then flags, omitting many final pages. AN BIOBLA NAOFA : The Bible in Irish, The Letters of St Patrick. http://www.fiosfeasa.com Professor Màire Herbert, University of Cork, 2001. Needed: A project to place all the great European Bibles, including the Gothic CODEX ARGENTEUS of Wulfila at Uppsala, the Anglo-Saxon CODEX AUREUS at Stockholm, and the LICHFIELD GOSPELS at Lichfield Cathedral (this last has now been filmed by the British Library for this purpose), on CD, giving excellent images, to the quality of the Book of Kells CD, and their entire texts, for both lay people and scholars. Abbazia di Montecassino e la Biblioteca Medicea Laurenziana. Le Bibbie Atlantiche: Il Libro delle Scritture tra monumentalita` e rappresentazione. Ed. Marilena Maniaci e Giulia Orofino. Ministero per i Beni e le Attività Culturali, 2000/2001. Julia Bolton Holloway, Firenze, 2001. Codicology and Paleography. Daniela Saghì Abravanel. Il Segreto dell'Alfabeto Ebraico. Milano: Mamash Edizioni Ebraiche, 1999. ADA, Firenze, 2001. Alphabet. Accademia Petrarca di Lettere Arti e Scienze, Arezzo, Atti del Convegno Internazionale sulla Peregrinatio Egeriae: Nel centenario della pubblicazine del Codex Aretinus 405 (già Aretinus VI.3) Arezzo, 23-25 Ottobre 1987 (Arezzo: Accademia Petrarca, 1990). Accademia Petrarca, Arezzo, 2002. Egeria/ Pilgrimage. Alcuin. De Orthographia. Ed. Sandra Bruni. Firenze, Galluzzo: SISMEL [Società Internazionale per lo Studio del Medioevo Latino], 1997. Millennio Medievale 2. http://www.sismel.it SISMEL and Julia Bolton Holloway, Firenze, 2001. Codicology and Paleography. Alinari. La Commedia Dipinta: I Concorsi Alinari e il Simbolismo in Toscana. Firenze: Alinari, 2002. Julia Bolton Holloway, Firenze, 2003. Alphabet, written in San Lorenzo Market, Florence, by an immigrant from Peking, China, in Chinese calligraphy. Julia Bolton Holloway, Florence, 2001. Alphabet. Antico Setificio Fiorentino , ed. Patrizia Pietrogrande (Firenze: Le Lettere, 1999). Julia Bolton Holloway, Firenze, 2002. Handcraft. Gilberto Aranci. Il Laudario Fiorentino del Trecento. Montespertoli: Aleph, 2002. ADA, Firenze, 2002. Stefano Ardito. Un approdo felice: Guida alla natura, all storia e ai segreti del Monte Amiata. Abbadia San Salvatore, 1999. American League, Florence, 2002. Arte e religione nella Firenze de' Medici. Firenze: Edizione Città di Vita, 1980. Padre Massimiliano G. Rosito, Santa Croce, 2004. Autori vari. Il salvatico Giuliotti. Firenze: Quarderni di Città di Vita, 1988. Padre Rosito, Santa Croce, 2004. Autori vari. Santità oltre i confini. Firenze: Quarderni di Città di Vita, 1986. Padre Rosito, Santa Croce, 2004. Banca Nazionale dell'Agricultura. Storia del Commercio italiano. Roma: Banca Nazionale dell' Agricultura, 1978. Julia Bolton Holloway, Firenze, 2003. Elizabeth Barrett Browning. 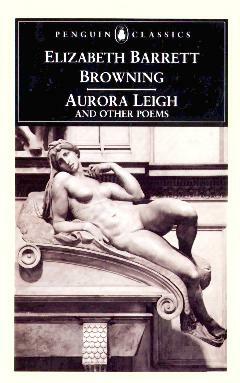 Aurora Leigh and Other Poems. Ed. John Robert Glorney Bolton and Julia Bolton Holloway. Harmondsworth: Penguin, 1995. ISBN 0-14-043412-7. Julia Bolton Holloway, Firenze, 1997. Elizabeth Barrett Browning. Aurora Leigh: Romanzo in versi. Trad. Bruna Dell'Agnese. Firenze: Le Lettere, 2002. ISBN 88 7166 665 8. Le Lettere, Firenze, 2002. Revd Canon Tony Barnard, Chancellor of Lichfield Cathedral. Christianity - Saint Chad and the Lichfield Gospels. Chapter of Lichfield Cathedral. Mrs Pat Bancroft, Librarian, Lichfield Cathedral Library, 2000. Codicology and Paleography. Ursula Lucille Betka. Marian Images and Laudesi Devotion in Late Medieval Italy, ca. 1260-1350. Thesis for Doctor of Philosophy, School of Fine Arts, Classical Studies and Archeology, The University of Melbourne, January 2001. Art History/Music History. La Bibbia a stampa da Gutenberg a Bodoni. Firenze: Biblioteca Medicea Laurenziana, Biblioteca Nazionale Centrale, 8 ottobre - 23 novembre 1991. Ed. Ida Zatelli. Firenze: Centro Di, 1991. Alessandra Marchi, Firenze, 2001. Bible/Codicology. Bibbia ebraica, Agiografi [Psalms, Proverbs, Job, Song of Solomon, Ecclesiastes, Ester, Daniel, Ezra, Nehemiah, Chronicles]. Ed. Rav Dario Disegni. Firenze: La Giuntina, 2002. La Giuntina, Firenze, 2002. Bible. Biblioteca Nazionale Centrale di Firenze, I Tesori della Biblioteca Nazionale Centrale di Firenze (Firenze: Nardini Editore, 1989). Julia Bolton Holloway, Firenze, 2002. Codicology and Paleography. Birgittiana. Ed. Tore Nyberg. Tore Nyberg, Odense, Denmark, 2002. Brunetto Latino. Li Livres dou Tresor. Facsimile of St Petersburg, National Library, Fr. F.V. III N 4. 2 Vols. Barcelona: M. Moleiro Editor, S.A., 2000. M. Moleiro, Firenze, 2001. Codicology and Paleography. Despite their high cost these two volumes, one the manuscript facsimile, the other the commentary volumes with fine explanatory essays, are highly recommended for all scholars of Brunetto Latino and for all Medieval Studies programmes and their library holdings as exemplifying the best in medieval manuscript traditions. Brunetto observed the book-making techniques at Alfonso el Sabio's court, next used them himself, and in turn taught them to Dante Alighieri. Julia Boffey and A.S.G. Edwards. Medieval Manuscripts in the Norlin Library: A Summary Catalogue. North Carolina: Pegasus Press, 2002. Liesel Nolan, Boulder, Colorado, U.S.A., 2002. Codicology and Paleography. François Bucher. The Pamplona Bibles: A Facsimile Compiled from Two Picture Bibles with Martyrologies Commissioned by King Sancho el Fuerte of Navarra (1104-1234) Amiens Manuscript Latin 108 and Harburg MS 1,2, lat.4°,15. New Haven: Yale University Press, 1970. 2 vols. Dr Ernst Boehlen, Switzerland. Codicology and Paleography. Sergio Cabassi. Il Portico della Capella Pazzi. Firenze: Edizioni Città di Vita, 1991. Padre Rosito, Santa Croce, 2004. Mario Caligiuri. Breve storia della Calabria: Dalle origini ai giorni nostri. Roma: Newton e Compton, 2002. ADA, Firenze, 2003. Centro Studi Romei. La Via Francigena nel Senese dal Documento al Territorio. 2000. ADA, Firenze, 2001. Pilgrimage. Includes Monte Amiata, Abbazia di San Salvatore, home for centuries of the Codex Amiatinus. Le civilta` del Libro e la stampa a Venezia: Testi sacri ebraici, cristiani, islamici dal Quattrocento al Settecento. Ed. Simonetta Pelusi. Venezia: Il Poligrafo, 2000. Professore Giuliano Tamani, Firenze, 2001. Bible/Codicology. Codices Boethiani: A Conspectus of Manuscripts of the Works of Boethius. III. Italy and the Vatican City. London: The Warburg Institute, 2002. Codicology and Paleography. La Consolazione della Filosofia nel Medioevo e nel rinascimento italiano/Boethius's Consolation of Philosophy in Italian Medieval and Renaissance Education. Ed. Robert Black and Gabriella Pomaro. Firenze, Galluzzo: SISMEL, 2000. Biblioteche e Archivi 7. http://www.sismel.it SISMEL and Julia Bolton Holloway, Florence, 2001. Codicology and Paleography. Rosemary Cramp. 'Jarrow', Reallexikon der Germanischen Altertumskunde, 16:37-42 (Berlin: Walter de Gruyter, 2000). Rosemary Cramp, Durham, England, 2002. Codex Amiatinus. Rosemary Cramp. 'The Making of Oswald's Northumbria' Offprint from Clare Stancliffe and Eric Cambridge, eds. Oswald: Northumbrian King to European Saint (Stamford: Paul Watkins, 1995), pp. 17-32. Rosemary Cramp, Durham, England, 2002. Rosemary Cramp. 'Not why but how: The Contribution of Archeological Evidence to the Understanding of Anglo-Saxon England', The Preservation and Transmission of Anglo-Saxon Culture, ed. Paul E. Szarmach and Joel T. Rosenthal (Kalamazoo: Western Michigan University, 1997). Rosemary Cramp, Durham, England, 2002. Rosemary Cramp. Whithorn and the Northumbrian Expansion Westwards. Third Whithorn Lecture, 17th September 1991. Rosemary Cramp, Durham, England, 2002. La Cultura ebraica all'epoca di Lorenzo il Magnifico: Celebrazioni del V centenario della morte di Lorenzo il Magnifico: Convegno di studio, Firenze, Accademia Toscana di Scienze e Lettere "La Colombaria", 29 novembre 1992 . Ed. Dora Liscia Bemporad and Ida Zatelli. Firenze: Leo S. Olschki Editore, 1998. Bible/ Hebrew Studies. Dallo Scriptorium al CD-ROM. La Bibbia Amiatina attraverso milletrecento anni di storia. Ministero per i Benei e le Attivita` Culturali, Biblioteca Medicea Laurenziana, Societa` Internazionale per lo Studio del Medioevo Latino, 2000. Brochure. Julia Bolton Holloway, Florence, 2000. Bible/Codicology and Paleography. Dante Alighieri. La Divina Commedia, ed. Natalino Sapegno. Vol. I. Inferno. Firenze: "La Nuova Italian" Editrice, 1979. Previous owner, Virginia Browne. American League, Florence, 2002. Dante Minore: Letture introduttive. Firenze, G.C. Sansoni, Edizione Città di Vita, 1965. Padre Rosito, Santa Croce, 2004. Richard Eales and Richard Gameson. Vikings, Monks and the Millennium, Canterbury in about 1000 A.D. Canterbury: Canterbury Archeological Society, 2000. Richard Gameson, Canterbury, 2001. Codicology and Paleography. The Ecologist, 30 (2000). Contains Stephanie Roth, 'The Cosmic Vision of Hildegard of Bingen', pp. 40-42. Giannozzo Pucci, Ontignano, 200. Ezio Ceccarelli scultore (1865-1927). Firenze: Edizione Città di Vita, 1990. Padre Rosito, Santa Croce, 2004. Filologia Mediolatina: Studies in Medieval Latin Texts and their Transmission: Rivista della Fondazione Ezio Franceschini, VI-VII (1999-2000). Firenze, Galluzzo: SISMEL, 2000. http://www.sismel.it SISMEL and Julia Bolton Holloway, Firenze, 2001. Codicology and Paleography. Angela Franco Mata. El Retablo Gotico de Cartagena y los alabastros ingleses en Espana. Madrid: Cajamurcia, 1999. Dott.ssa Angela Franco, Madrid, 2001. Art History. Kathryn Shank Frate. Così scrisse il frate/ So Wrote the Friar. 1989. No. XIII/XXV. Kathryn Shank Frate, Staranzano 2002. Calligraphy. Richard Gameson. Saint Augustine of Canterbury. Canterbury: Dean and Chapter of Canterbury, 1997. Richard Gameson, Canterbury, 2001. Codicology and Paleography. Gian Carlo Garfagnini. "Questa e` la terra tua" Savonarola e Firenze. Millennium Medievale 18. Firenze, Galluzzo: SISMEL, 2000. Firenze, SISMEL, 2001. Monasticism/Dominican. Marcello Garzaniti, 'L'Agiografia slavo-ecclesiastica nel contesto della liturgia bizantina: Sacra Scrittura e liturgia nella composizione letteraria della Vita di Paraskeva'. in Contributi italiani al XII Congresso internazionale degli slavisti, Cracovia 26 agosto-3 settembre 1998 (Napoli, 1998). Marcello Garzaniti, 'Sacra Scrittura e riflessione teologica in Teofane il Recluso', in La Grande Vigilia: Santita` a spiritualita1 in Russia tra Ignatij Brjancaninov e Ioann di Kronstadt': Atti del V convegno ecumenico internazionale di spiritualita` russa, Bose, 17-20 settembre 1997, ed. Adalberto Mainardi, monaco di Bose (Comunita` di Bose: Edizioni Qiqajon, pp. 381-391. Ghiberti e la sua arte nella Firenze del '3-'400. Firenze: Edizione Città di Vita, 1979. Padre Rosito, Santa Croce, 2004. Giovanni Rucellai ed il suo Zibaldone II: A Florentine Patrician and his Palace. London: The Warburg Institute, 1981. The Warburg Institute, London, 2002. Florence/Codicology and Paleography. Il Breviario di Frate Girolamo Savonarola. Riproduzione fototipica dell'incunabolo Banco Rari 310 della Biblioteca Nazionale Centrale di Firenze. Firenze, Galluzzo, SISMEL, 1999. http://www.sismel.it SISMEL and Julia Bolton Holloway, Florence, 2001. Monasticism/Dominican. Il Breviario di Frate Girolamo Savonarola. Postille autografe, trascritte e commentate a cure di Armando F. Verde, O.P. Firenze, Galluzzo, SISMEL, 1999. http://www.sismel.it SISMEL and Julia Bolton Holloway, Florence, 2001. Monasticism/Dominican. Two indispensible volumes for the history and art history of Florence. Girolamo Savonarola. Verita` della profezia/De veritate prophetica dyalogus . Ed. Claudio Leonardi. Firenze, Galluzzo: SISMEL, 1997. Latin and Italian parallel text. http://www.sismel.it SISMEL and Julia Bolton Holloway, Firenze, 2001. Monasticism/Dominican. Michael M. Gorman. The Manuscript Traditions of the Works of St Augustine . Firenze, Galluzzo: SISMEL, 2001. 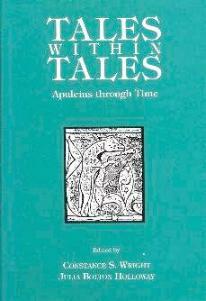 Millennium Medievale 27, Reprints. http://www.sismel.it SISMEL and Julia Bolton Holloway, Firenze, 2001. Codicology and Paleography. Margherita Guidacci. Anelli del Tempo. Firenze: Edizioni Città di Vita, 1993. Padre Rosito, Santa Croce, 2004. _________. L'orologia di Bologna. Firenze: Edizioni Città di Vita, 1981. Padre Rosito, Santa Croce, 2004. Handschriften aus Sudostasien. Berlin: Ausstellung der Orientabteilung der Staatsbibliothek Preussisher Kulturbesitz im Haus am Lutzowplatz Berlin- Tiergarten, Lutsowplatz 9 vom 8. Januar. bis 13 Februar 1977. Berlin: Staatsbibliothek zu Berlin, 2002. Nathaniel Hawthorne, The Marble Faun, ed. Richard H. Brodhead (Harmondsworth: Penguin, 1990). Penguin Italia, Milan, Italy, 2000. Seamus Heaney. Electric Light. London: Faber and Faber, 2001. Professor Màire Herbert, Florence, 2001. See 'The Clothes Shrine' for St Brigid's sunbeam on which a cloak is hung, p. 27. Poetry. Hebraische Schrift. Zurich: Kuntsgewerbemuseum Zurich 1987. 2 vols. Staatsbibliothek zu Berlin, Berlin, 2002. Alphabet/ Hebrew Studies. Hellenic Ministry of Culture/ Hellenic Antiquities Museum, Melbourne, Ceremony and Faith: Byzantine Art and the Divine Liturgy (Athens, 1999). Carmel Miller, Melbourne, Australia, 2000. Màire Herbert and Martin McNamara, MSC, Irish Biblical Apocrypha: Selected Texts in Translation (Edinburgh: T & T Clark, 1989). Màire Herbert, Cork, Ireland, 2002. Ingo Herklotz. "Sepulcra" e "Monumenta" del Medioevo: Studi sull'arte sepolcrale in Italia. Napoli: Liguori, 2001. ADA, Firenze, 2002. Herrad of Hohenbourg. Hortus Deliciarum. Ed. Rosalie Green, Michael Evans, Christine Bischoff and Kenneth Levy. 2 Vols. London: The Warburg Institute, 1979. 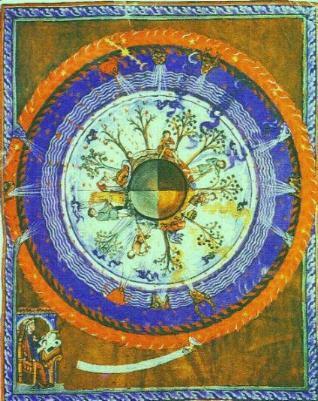 Hildegard of Bingen: The Context of Her Thought and Art. Warburg Institute Colloquia. London: The Warbourg Institute, 1998. The Warburg Institute, London, 2002. Monasticism/ Benedictine/ Hildegard von Bingen. Hildegardis Bingensis. Liber Divinorvm Opervm. Ed. A. Derolez and Peter Dronke. Turnout: Brepols, 1996. Corpus Christianorum Continuatio Medievalis XCII. Brepols, Turnout, 2002. Monasticism/ Benedictine/ Hildegard von Bingen. Bettina Hoffmann. Modo Antiquo: La Musica dei Crociati. Milan: Amadeus, 10 (2000). Firenze: Bettina Hoffmann, 2002. Hrotsvit of Gandesheim. A Florilegium of Her Works. Ed. Katharina Wilson. Woodbridge: Boydell and Brewer, 1998. Julia Bolton Holloway, Firenze, 2002. Monasticism/Benedictine/Canonness. See also Rosvita. Donald Jackson, La Scrittura nei secoli (Firenze: Nardini Editore, 1988). Julia Bolton Holloway, Firenze, 2002. Jacopo da Verazza (Jacopo de Voragine). Legenda Aurea. Ed. Giovanni Paolo Maggioni. Firenze, Galluzzo: SISMEL, 1999. 2 Vols and CD. Millennio Medievale 6. Premio Tartufari, Accademia Nazionale dei Lincei, 1999. http://www.sismel.it SISMEL, Firenze, 2001. Hagiography. Critical edition of Latin text, that comes with searchable CD of same. John Ruskin and the Victorian Eye, With Essays by Susan P. Casteras, Susan Phelps Gordon, Anthony Lacy Gully, Robert Hewison, George P. Landow, and Christopher Newall (Harry N. Abrams, Inc., and Phoenix Art Museum, 1993). Ann Gully, Tempe, Arizona, U.S.A., 2001. John Scottus Eriugena. Glossae Divinae Historiae: The Biblical Glosses . Ed. John J. Contreni and Padraig P. O Neill. Firenze, Galluzzo: SISMEL, 1997. Millennium Medievale 1. http://www.sismel.it SISMEL e Julia Bolton Holloway, Firenze, 2001. Bible/Codicology and Paleography. E.A. Jones, 'The Heresiarch, The Virgin, The Recluse, The Vowess, The Priest: Some Medieval Audiences for Pelagius's Epistle to Demetrias', Leeds Studies in English (Leeds, 2001). Eddie Jones, University of Exeter, 2001. Selma Jonsdottir. Illumination in a Manuscript of Stjorn. Trans. Peter G. Foote. Reykjavik; Almenna bokafelagid, 1971. Professor Svanhildur Oskarsdottir, Firenze, 2001. Bible/Codicology and Paleography. Exquisite thirteenth-century Icelandic Bible illuminations. The Kennicott Bible. A Masterpiece of Hebrew Illumination. Brochure. Linda Falter, Facsimile Editions Limited, 2001. Bible/Codicology and Paleography. D.N. Kissane. 'Uita metrica sanctae brigidae: A Critical Edition with Introduction, Commentary and Indexes', Proceedings of the Royal Irish Academy 77:3 (1977), 57-87. Offprint, Professor Màire Herbert, Cork, Ireland, 2001. Complete bound volume, Professor Màire Herbert , Cork, Ireland, 2002. Monasticism. Sr Anna-Maria Kjellegaard OSB. Kaerlighed var hans mening: Citater fra Julian af Norwich: Abengaringer af Den guddommelige Kaerlighed. Denmark: Katolsk Forlag, 2002. Julian of Norwich. Julian of Norwich. 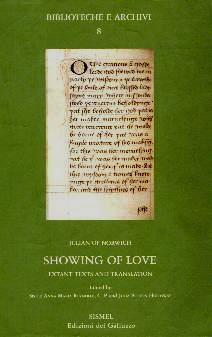 Showing of Love: Extant Texts and Translation . Ed. Sister Anna Maria Reynolds, C.P., and Julia Bolton Holloway. Firenze: SISMEL Edizioni del Galluzzo, 2001. 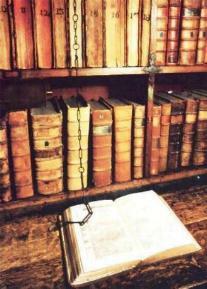 Biblioteche e Archivi 8. http://www.sismel.it SISMEL, Firenze, 2001. Giuliana di Norwich. Libro delle Rivelazioni. Trad. Domenico Pezzini. Milano: Ancora, 1997. David Kimchi, Commento ai Salmi, ed. Luigi Cattani (Roma: Citta` Nuova, 1995-2001), 3 vols. Julia Bolton Holloway, Firenze, 2001. David Kimhi, Hebrew Grammar, Miklol, Part One, trad. William Chomsky (Philadelphia: Dropsie College for Hebrew and Cognate Learning, 1933). Seth Jerchower, Philadelphia, 2001. Gerhard Kittel, Gerhard Friedrich, Theological Dictionary of the New Testament (Grand Rapids, MI: Eerdmans Publishing Company, 1976), 10 vols. James Hannay, Dallas, TX, Sandy Swegel, Boulder, CO, USA, 2000. Jonas Kristjansson. Icelandic Manuscripts: Sagas, History and Art . Trans. Jeffre Cosser. Reykjavik, the Icelandic Literary Society, 1996. Svanhildur Oskarsdottir, Firenze, 2001. Icelandic Literature. Excellent survey, copiously illustrated, of Icelandic manuscripts. I colori del divino: Biblioteca Riccardiana, 20 febbraio-19 maggio 2001. Ed. Giovanna Lazzi. Firenze: Edizioni Polistampa, 2001. Giovanna Lazzi, Firenze, 2002. Legenda de Origine Ordinis dei Servi di Maria (Roma, 1996). Padre Antonio Maria Pascoli, O.S.M., Firenze, 2001. Legenda di Piero della Francesca. Firenze: Edizione Città di Vita, 1994. Padre Rosito, Santa Croce, 2004. Claudio Leonardi, 'Savonarola e la politica'. Claudio Leonardi, Firenze, 2000. Lino Leonardo, ed. I Canzonieri della lirica italiana delle origine III: Il Canzonierere palatino, Biblioteca Nazionale Centrale di Firenze, Banco Rari 217, ex Palatino 418. Firenze: SISMEL, 2000. SISMEL, Firenze, 2002. Biblioteche e Archivi 6/III. Codicology and Paleography. Mirella Levi D'Ancona. The Illuminators and Illuminations of the Choir Books from Santa Maria degli Angeli and Santa Maria Nuova in Florence . Vol. I. Firenze: Centro Di, 1994. Alessandra Marchi, Firenze, 2001. Codicology and Paleography. Mirella Levi D'Ancona. The Reconstructed 'Diurno Domenicale' from Santa Maria degli Angeli in Florence. Florence: Centro Di, 1993. Vol. II. Alessandra Marchi, Firenze, 2001. Codicology and Paleography. 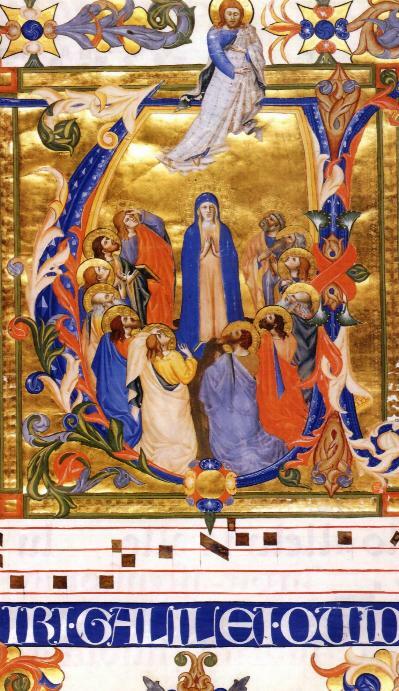 Two indispensible volumes for the study of Florentine art through liturgical illuminated books. Fine colour and black and white plates. Lorenzo the Magnificent: Culture and Politics. London: The Warburg Institute, 1996. Warburg Institute Colloquia. London. The Warburg Institute, 2002. Florence/Art History. Cristina Acidini Luchidat, Benozzo Gozzoli (Firenze: Scala, 1994). Catharina Lindgren, Goteborg, Sweden, 2000. Elvio Lunghi, Benozzo Gozzoli a Montefalco (Assisi: Editrice Minerva, 1997). Julia Bolton Holloway, Florence, 2000. La Madonna di Bernardo Daddi negli 'horti' di San Michele. Ed. Licia Bertani e Muriel Vervat. Livorno: Sillabe, 2000. Sillabe, Livorno, 2004. John Man. Alpha Beta: How Our Alphabet Shaped the Western World. London: Headline, 2000. James Hannay, Hastings and Dallas, 2001. A good popular read, replicating much of prof.ssa Maria Giulia Amadasi 's presentation, though sadly omitting Wulfila's alphabet invented for the Gothic language and the translation of the Bible into that language, for which see James Marchand 's presentation. Maria Margheri Manetti, Il Punto Antico (Firenze: Libreria Editrice Fiorentina, 1999). Vittorio Zani, Firenze, 2000. Margaret Manion, I.B.V.M. The Wharncliffe Hours: A Study of a Fifteenth-Century Prayerbook. Sydney: Sydney University Press, 1972. Ursula Betka, University of Sydney, 2002. Codicology and Paleography. I Manoscritti datati della Biblioteca Riccardiana di Firenze. Ed. Teresa De Robertis e Rosanna Miriello. SISMEL, Edizioni del Galluzzo, 1997/1999. 2 Vols. Manoscritti Datati d'Italia 2/3. http://www.sismel.it SISMEL and Julia Bolton Holloway, Florence, 2001. Codicology and Paleography. Masaccio e il mondo della rinascenza fiorentina. Firenze: Edizione Città di Vita, 1990. Padre Rosito, Santa Croce, 2004. Maurizio Masetti, La Firenze dei Browning: Un modo diverso per scoprire la città dell'Ottocento attraverso i luoghi dove i due poeti trascorsero il loro soggiorno fiorentino (Firenze: Pietro Chegai Editore, 2002). Maurizio Masetti, Firenze, 2002. Ferruccio Mazzariol. Le Fontane della Pietà. Firenze: Edizione Città di Vita, 1989. Padre Rosito, Santa Croce, 2004. Fioretta Mazzei. La Mia Storia Sacra. Città del Vaticano: Libreria Editrice Vaticana, 2004. Julia Bolton Holloway, Florence, 2004. Bernard Meehan. The Book of Kells. London: Thames and Hudson, 2000. Dr Bernard Meehan, Keeper of Manuscripts, Trinity College Library, Dublin, 2001. Bible/Codicology and Paleography. Martin McNamara, The Psalms in the Early Irish Church. Sheffield Academic Press Ltd. 19 Kingfield Road, Sheffield, S11 9AS, U.K., sales@sheffac.demon.co.uk Julia Bolton Holloway, Florence, 2001. Bible. A creative, independent, Irish exegetical tradition was well established by the year 700 CE, influencing Northumbria but not Continental Europe. This book contains eight studies by the distinguished Irish biblical scholar, Martin McNamara, which he has published over the past twenty0five years, on the Latin biblical texts (Vulgate, Gallicanum and Jerome's Hebraicum) of the Psalter and commentaries on it in Ireland from 600 CE onwards. The oldest Irish Vulgate text, the CATHACH of St Columba of Iona (+597), shows signs of correction against the Irish recension of the Hebrew text. The central exegetical tradition is strongly Antiochene, being dependent on the commentary of Theodore of Mopsuestia (in Julian's translation), while another branch understands the Psalms as principally about David, rather than christologically or as about later Jewish history. Giorgio Margheri, Maria Margheri, Carlo Manetti. Il Telaio di Teresa. Firenze, Casa Editrice Fiorentina, 1999. ADA, Firenze, 2002. Handcraft. Jeannette Marks. The Family of the Barrett: A Colonial Romance (New York: Macmillan Company, 1938). Sheila Frodella, Florence, 2002. Fioretta Mazzei, Firenze per i diritti del Bambino: Dichiarazioni e proposte: Convegno internazionale per i diritti del Bambino 1984-2000. Associazione Fioretta Mazzei, Firenze, 2000. Fioretta Mazzei, Pensieri blu o verde: Raccolti da un Assessore per una piu vasta sicurezza sociale/ Blue-Green Thoughts. Firenze, 2000. Mechtild of Magdebourg, The Flowing Light of the Godhead, Trans. Frank Tobin, Pref., Margot Schmidt (New York: Paulist Press, 1998). Julia Bolton Holloway, Florence, 2001. Bernard Meehan . The Book of Kells. London: Thames and Hudson, 2000. Dr Bernard Meehan, Keeper of Manuscripts, Trinity College Library, Dublin, 2001. 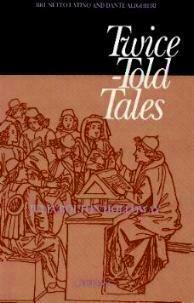 Melusine of Lusignan: Founding Fiction in Late Medieval France, ed. Donald Maddox and Sara Sturm-Maddox (Athens: University of Georgia Press, 1996). MLA, New York, 2001. Elena Men`, Icone (Firenze: Edizioni Polistampa, 1999). Avv. Alessandro Berti, Firenze, 2001. 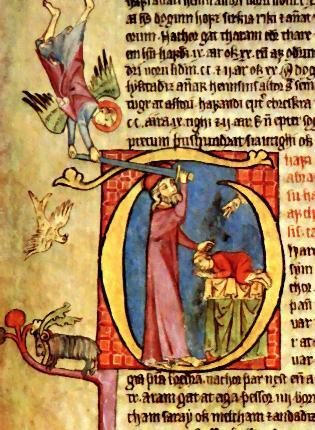 Paul Meyvaert, 'Bede, Cassiodorus, and the Codex Amiatinus', Speculum 71 (1996), pp. 827-883. Julia Bolton Holloway, 1996. Museo Arqueologico Nacional. Giua General. Madrid: Ministerio de Educacion y Cultura Direccion General de Bellas Artes y Bienes Culturales, 1996. Dott.ssa Angela Franco, Firenze, 2001. Art History. Antonio Natali. La Bibbia in bottega: Le Scritture, l'antico, l'occasione. Studi di storia dell'arte. Firenze: Centro Di, 1991. Alessandra Marchi, Firenze, 2001. Bible/Art History. Galeazzo Nosari. Mantova e l'Episcopato mantovano nella prima metà del Duecento: Registro della mensa vescovile di Mantova 1215-1233. Introduzione di Attilio Bartoli Langeli. Reggiolo: E.Lui Editore, 2004. Lorena Liu, Reggiolo, 2004. Thomas O'Laughlin. 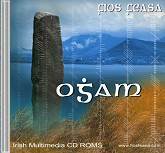 Celtic Theology: Humanity, World and God in Early Irish Writings. London: Continuum, 20002. Màire Herbert, University College of Cork, 2002. R. I. Page, Reading the Past: Runes (London: British Museum Press, 1987). Erna Beck, Bergen, Norway, 2000. Pietro Parigi: Dal segno al simbolo. Firenze: Edizioni Città di Vita, 2002. Padre Rosito, Santa Croce, 2004. The Parma Psalter: A Thirteenth-Century Illuminated Hebrew Book of Psalms with Commentary by Abraham Ibn Ezra. Brochure. Linda Falter, Facsimile Editions Limited, 2001. Bible/Codicology and Paleography. Domenico Pezzini. 'The Italian Reception of Birgittine Writings'. From The Medieval Translator , vol. 7, ed. Bridget Morris and Veronica O'Mara. Turnhout: Brepols, 2000. Monasticism/Brigittine. Marguerite Porete, Le Miroir des Ames simples et anéanties et qui seulement demeurent en désir d'Amour, trans. and ed. Max Huot de Longchamp (Paris: Albin Michel, 1997). Carmo Silva, Lisbon, Portugal, 2001. Margherita Porete, Lo specchio delle anime semplici (Milano, San Paolo, 1999). ADA, Firenze, 2001. Primo Rinascimento. Firenze: Edizioni Città di Vita, 1968. Padre Rosito, Santa Croce, 2004. Alexander Pushkin. Eugene Onegin. Harmondsworth: Penguin, 2003. PenguinItalia, 2004. The Revelation of the Monk of Eynsham. Ed. Robert Easting. Oxford: Early English Text Society, 2002, Early English Society, 318. Julia Bolton Holloway, Florence, 2003. Rivista di Storia della Miniatura, 1-2, 1996-1997. Atti del IV Congresso di Storia della Miniatura 'Il codice miniato laico: rapporto tra texto e immagine'. Ed. Melania Ceccanti. Firenze: Centro Di, 1997. Codicology and Paleography. Includes Maria Grazia Ciardi Dupre Dal Poggetto, 'Nuove ipotesi di lavoro scaturite dal rapporto testo-immagine nel "Tesoretto" di Brunetto Latini'. pp. 89-98. Steffi Roettgen, 'Dal "Boersen-Courier" di Berlino al "Genio" di Firenze: Lo storico Robert Davidsohn (1853-1937) e il suo inedito lascio fiorentino', Storia dell'arte e politica culturale intorno al 1900: La fondazione dell'Istituto Germanico di Storia dell'Arte di Firenze, ed. Max Seidel (Venezia: Marsilio, 1997). Steffi Roettgen, Munich, 2001. Steffi Roettgen. Affreschi italiani del Rinascimento: Il primo Quattrocento. Modena: Franco Cosimo Panini, 1998. Steffi Roettgen, Munich, 2001. Angiola Maria Romanini, Arnolfo di Cambio e lo 'stil novo' del gotico italiano (Milano: Ceschina, 1969). Julia Bolton Holloway, Firenze, 2001. Immanuello Romano, L'Inferno e il Paradiso , ed. Giorgio Battistoni (Firenze: La Giuntina, 2000). La Giuntina, Firenze, 2000. Leonardo Rosito e Margherita Guidacci. La Via Crucis dell'Umanità. Firenze: Edizioni Città di Vita, 1984. Padre Rosito, Santa Croce, 2004. Massimiliano G. Rosito, a cura di. Santa Croce nel solco della storia. Firenze: Edizioni Città di Vita, 1996. Padre Rosito, Santa Croce, 2004. Massimiliano G. Rosito, a cura di. Savonarola rivisitato (1498-1998). Firenze: Città di Vita, 1998. Padre Rosito, Santa Croce, 2004. Massimiliano G. Rosito, a cura di. Tre Capitoli per Santa Croce. Firenze: Città di Vita, 2000. Padre Rosito, Santa Croce, 2004. Rosvita. Dialoghi drammatici con testo a fronte. Milano: Garzanti, 2000. Julia Bolton Holloway, Firenze, 2002. Monasticism/ Medieval Drama. See also Hrotsvit. L'eredita italiana di John Ruskin/ John Ruskin's Italian Legacy, 1900-2000: Convegni di studi, Firenze, 15-18 novembre 2000 . Gabinetto Vieusseux and The British Institute, Florence, Italy, 2000. Michael Ryan, Charles Horton, Clare Pollard, Elaine Wright, The Chester Beatty Library (Dublin: Chester Beatty Library; London: Scala, 2001). Màire Herbert, Cork Ireland, 2002. Claire Sahlin. Birgitta of Sweden and the Voice of Prophecy. Cambridge: Boydell, 2001. Boydell and Brewer, Suffolk, England, 2002. Roberto G. Salvadori. The Jews of Florence: From the Origins of the Community up to the Present. Firenze: La Giuntina, 2001. La Giuntina, Firenze, 2002. Judaism/ Hebrew Studies. Il Santuario di Santa Maria del Sasso di Bibbiena dalla protezione Medicea al Savonarola: Storia Devozione, Arte. Ed. Armando Felice Verde, O.P., Raffaella Maria Zaccaria. Firenze, Galluzzo: SISMEL, 2000. Savonarola e la Toscana: Atti e documenti, II. http://www.sismel.it SISMEL e Julia Bolton Holloway, Firenze, 2001. Pilgrimage. Alla Scoperta del Volontariato Culturale: Lezioni tenute al Corso di formazione svoltosi a Firenze, dal 15 aprile al 28 maggio 1998 presso la sede dell'associazione Amici dei Musei Fiorentini con la collaborazione del CESVOT, ed. Anna Paula Martelli, Adriana Trassari. Giorgio Nencetti, Montebeni, 2001. Regina M. Schwartz, The Curse of Cain: The Violent Legacy of Monotheism . Chicago: University of Chicago Press, 1997. Regina Schwartz, Northwestern University, 2001. Bible. Ludovico Sebregondi. Santa Croce Sotterranea: trasformazioni e restauri. Firenze: Città di Vita, 1997. Padre Rosito, Santa Croce, 2004. 'Dal segno alla scrittura', Le Scienze Dossier (Scientific American) , 12 (2002). ADA, Firenze, 2002. Max Seidel, ed., Storia dell'arte e politica culturale intorno al 1900: La fondazione dell'Istituto Germanico di Storia dell'Arte di Firenze (Venezia: Marsilio, 1997). Dorothea Dedecke, Switzerland/Firenze, Italy, 2000. Paolo Semoli. Codici Miniati Camaldolesi nella Biblioteca Comunale "Rilliana" di Poppi e nella Biblioteca della Città di Arezzo. 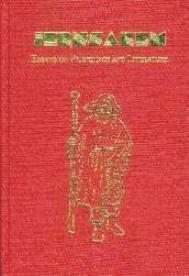 Poppi: Edizioni della Biblioteca Comunale Rilliana, 1986. Judy Basso, Firenze e Virginia, U.S.A., 2002. Codicology and Paleography. M.C. Seymour. The Defective Version of Mandeville's Travels. Oxford: Oxford University Press, 2002. Early English Text Society 319. Julia Bolton Holloway, Firenze, 2002. 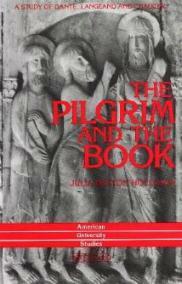 Pilgrimage/ Codicology and Paleography. Mary Shelley. Frankenstein. London: Oxford University Press, 1989. American League, Florence, 2002. Percy Bysshe Shelley. Selected Poetry. Harmondsworth: Penguin, 1956. PenguinItalia, Milan, 2004. Simonetti, Adele. I Sermoni di Umilta da Faenza. Spoleto: Centro Italiano di Studi sull'Alto Medioevo; Firenze: Societa Internazionale per lo Studio del Medioevo Latino, 1995. Gérard Silvain. Sefardim: Gli Ebrei delle terre de sole. Firenze: Alinari, 2001. Alinari, Firenze, 2004. Dava Sobel. Galileo's Daughter: A Historical Memoir of Science, Faith and Love. New York: Walker and Company, 1999. Dr. Raymond Bogucki, Petersburg, NY, U.S.A., 2002. Florence/ Franciscan. Dava Sobel. Galileo's Daughter: A Historical Memoir of Science, Faith and Love. London: Fourth Estate, 1999. Carmel Miller, Melbourne, Australia, 2002. Florence/Franciscan. 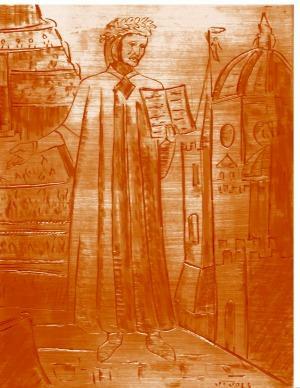 Società Dante Alighieri, Dante poeta cristiana (Firenze: Polistampa, 2000). Amalia Ciardi Dupré, Firenze, 2002. Enrique Sordo. Moorish Spain: Cordoba, Seville, Granada. Trans. Ian Michael. London: Elek Books, 1963. Libbie Batazzi, Firenze, 2002. Medieval Spain. Sotto il segno di Dante: Scritti in onore di Francesco Mazzoni. Ed. Leonella Coglievina, Domenico De Robertis. Firenze: Le Lettere, 1998. Julia Bolton Holloway, Firenze, 2002. Enrico Spagnesi. I Documenti costuitivi dalla Provvisione del 1321 allo Statuto del 1388. Firenze: Università degli Studi di Firenze. Florence. Renato Stopani. San Procolo. Firenze: Editoriale Gli Arcipressi, 2002. Trad. Julia Bolton Holloway, AD. Le Chiese Minori di Firenze 2. Renato Stopani, Firenze, 2002. Author/Florence. Madame de Stael. Corinne ou l'Italie. Ed. Simone Balayé. Paris: Gallimard,1985. JBH, Firenze, 2002. Moritz Steinschneider. Die Handschriften-Verzeichnisse Koniglichen Bibliothek zu Berlon. Zweiter Band. Verzichniss der Hebraeischen Handschriften. Berlin: A Asher & Co, 1897. Staatsbibliothek zu Berlin, 2002. Hebrew Studies/ Paleography and Codicology. Patrizia Stoppacci e Maria Cristina Parigi. Libros habere: Manoscritti francescani in Casentino. Catalogo della Mostra 1 aprile-15 luglio 1999, Castello dei Conti Guidi di Poppi. Firenze: Edizioni Polistampa, 1999. Judy Basso, Firenze e Virginia, U.S.A., 2002. Codicology and Paleography. Renato Stopani, De strata Francigena: Studi e ricerche sulle vie di pellegrinaggio del Medioevo (Firenze: Centro Studi Romei, 2002). Renato Stopani, Firenze, 2002. Renato Stopani, Firenze e i primi Giubilei: Un momento di storia della solidarietà (Firenze: Centro Studi Romei, 1999). Renato Stopani, Firenze, 2002. Renato Stopani, L' 'Aguato' di Montaperti (Firenze: Editoriale Gli Arcipressi, 2002). ADA, Firenze, 2002. Renato Stopani. San Procolo. Firenze: Editoriale Gli Arcipressi, 2002. Trad. Julia Bolton Holloway, AD. Le Chiese Minori di Firenze 2. Renato Stopani, Firenze, 2002. Renato Stopani. San Simone. Firenze: Editoriale Gli Arcipressi, 2002. Trad. Stephanie Johnson. Le Chiese Minori di Firenze 1. Renato Stopani, Firenze, 2002. Simon Szyszman. Les Karaites d'Europe. Acta Universitatis Upsaliensis, Studia Multiethnica Upsaliensia. Uppsala, 1989. Julia Bolton Holloway, Firenze, 2003. Topografia Sacra della Toscana. Ed. Anna Benvenuti, Claudio Carpini, Emiliano Degl'Innocenti, Lorenza Tromboni. http://www.sismel.it Firenze, Galluzzo: SISMEL, 2000. CD. Pilgrimage. Tradizione Patristiche nell'Umanismimo. Ed. Mariarosa Cortesi e Claudio Leonardi. Millennio Medievale 17. Firenze, Galluzzo: SISMEL, 2000. http://www.sismel.it SISMEL e Julia Bolton Holloway, Firenze, 2001. Church Fathers/Codicology and Paleography. I tre anelli: Les trois anneaux: revue des trois cultures monothéistes 3 (April 2002). Giorgio Battistoni, Verona, 2002. Trinity College Library. Treasures of the Library. Ed. Peter Fox. Dublin: Trinity College Library, 1986. Bernard Meehan, Trinity College Library, Dublin, 2002. Codicology and Paleography. Alfredo Troiano. 'Un anonimo propagandista del Paradiso'. Annali dell'Istituto Universitario Orientale, Sezione Romanza (1999) 41.2. Alfredo Troiano, New Haven, U.S.A., 2001. Anthony Trollope, The Way We Live Now (Harmonsdworth, Penguin: 1994). PenguinItalia, Milano, Italy, 2001. Novel. Turfanforschung. Berlin: Brandenburgishce Akademie der Wissenschaften, 2002. Staatsbibliothek zu Berlin, 2002. Codicology and Paleography. Tutte le tavole della Encyclopedie di Diderot e D'Alembert. Ed. Jacques Proust, trad. Martine Schruoffeneger. Milano: Mondadori, 1983, 2001. ADA, Firenze, 2001. Dictionary/ Encyclopedia/ Handcraft. Antonio Ugolini. Le vetrate artistiche a Firenze fra Ottocento e Novecento: Artistic Stained-Glass Windows in Florence Between the 19th and 20th Centuries.. Firenze: Camera di Commercio, 2002. ADA, Firenze, 2002. Handcraft. Florence/ Art History. Rivka B. Kern Ulmer. 'Further Manuscript Evidence of Pesiqta Rabbati: A Description of MS JTS 8195 (and MS Moscow 214)'. Journal of Jewish Studies 52 (2001). Rivka B. Kern Ulmer, Bucknell University, Pennsylvania, U.S.A., 2002. Codicology and Paleography. Diana Webb. Medieval European Pilgrimage, c. 700- c. 1500. Basingstoke: Palgrave, 2002. Diana Webb, England, 2002. Autographed copy. Medieval Pilgrimage. Jon Whiteley. Oxford and the Pre-Raphaelites. Oxford: Ashmolean Museum, 1993. Timothy Wilson, Ashmolean Museum, 2002. Holman Hunt/ Pre-Raphaelites. Elsa Williams. Bargello: Florentine Canvas Work. Autographed Elsa S. Williams. New York: Van Nostrand Reinhold Company, 1967. Judy Basso, Florence and Virginia, 2002. Handcraft. Richard Woods, O.P., 'The Spirituality of the Celtic Church', Spirituality Today, 37 (1985), 243-255. Julia Bolton Holloway, Florence, 2001. Monasticism. Worshipping Women: Misogyny and Mysticism in the Middle Ages. Ed. John O. Wood and Francesca C. Bussey. Sydney: University of Sydney, 1997. Ursula Betka, University of Sydney, 2002. Angela Zagari. Venti Poesie per Pietro Parigi. Prefazione di Mario Luzi. Firenze: Edizioni Città di Vita, 2001.